Home » Wills and Estates » Do You Need an Attorney to Create a Trust? With the proliferation of online “do it yourself” legal services, many people wonder whether they need to hire an attorney to perform various legal tasks. This is particularly true in the area of estate planning, where there typically isn’t an active dispute or a need to file documents with the court. This means that people can try and establish a trust, believing that they have done so correctly, only to discover years later that error or defect has an unintended result—or that it invalidates the trust entirely. There is no legal requirement that you retain the assistance of an attorney to create a trust. 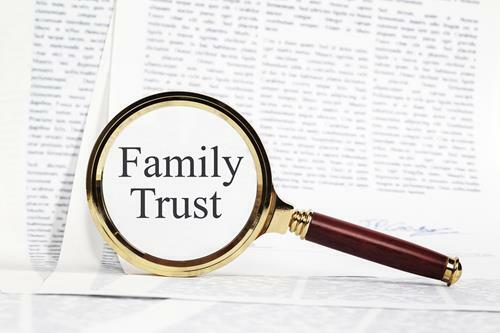 It is important to note, however, that trusts can be extremely complicated, and any errors in the process of forming a trust could cause it to fail, potentially having disastrous consequences for your estate and the beneficiaries of your trust. A trust is not a legal entity; instead, it’s a group of legal relationships. A grantor creates the trust by handing over legal title of them to a trustee, who holds the assets for the benefit of the trust beneficiaries. Many people place the bulk of their assets into a trust while they are alive as it allows them to continue to enjoy their assets and transfer them directly to their beneficiaries (avoiding probate) after they pass away. But what would happen if the trust failed because of some error made during a DIY formation? Typically, the court would return the trust assets to the grantor’s estate. Then, if there is no will or the will states that any leftover assets should be placed into the trust (a “pour-over will), the assets will be distributed according to the laws of intestate succession. Under these laws, a court distributes assets among a person’s heirs according to their degree of closeness to the person who passed away, a distribution which may or may not be in line with what you wanted to happen to your estate. If you are considering creating a trust or engaging in any other estate planning, you should speak to a qualified lawyer as soon as you can. 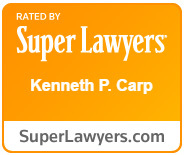 Kenneth P. Carp is a skilled estate-planning attorney who has more than 25 years of experience practicing law. To schedule a free case evaluation with Mr. Carp, call our office today at (636) 947-3600 or send us an email through our online contact form.